The i3 full-electric city car is built in Leipzig, Germany. FRANKFURT -- BMW will invest over 300 million euros to increase production at its plant in Leipzig, Germany, the automaker’s fifth-largest, laying the foundation for production of future models. By 2020, the automaker wants to ramp capacity up to 350,000 units annually, a gain of 100,000 over the current installed output. The plant builds the 1-series hatchback, the 2-series Active Tourer minivan and the 2-series Coupe and Cabrio. The i3 full-electric city car is also built there using renewable wind energy in its own hall, separated from the core assembly work for conventionally powered vehicles. The plant's other model is the i8 plug-in hybrid sports car. 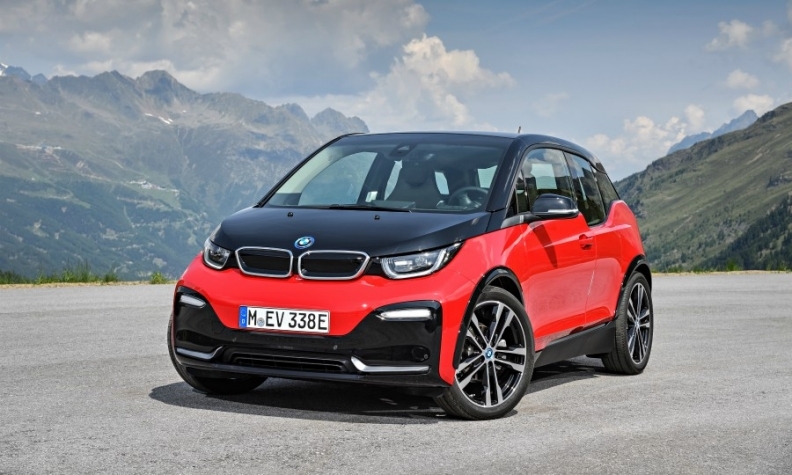 BMW did not say whether it will add further models at the factory. “With the measures we are introducing now, we should make the plant even more flexible, and above all more efficient, to keep it competitive in the future,” the company’s head of production, Oliver Zipse, said. The focus of the latest planned investment instead is in the capital-intensive paint shop, with a second fully-automated top-coat paint line as well as a new pre-treatment system and cathodic bath facility. Together it will improve the shop’s capacity by more than 40 percent, while reducing wastewater production and resource consumption. Additionally nearly 500 industrial robots will be added to the body shop and adjustments made to conveyor systems. It will also serve as an in-house supplier of doors and lids to BMW plants. Changes to assembly include a new 40-tonne panorama roof fitting system that was already added in March to increase speed and flexibility. Preparations are also ongoing to integrate new collaborative human-robot systems, often referred to as “cobots,” into the labor-intensive assembly line. BMW’s Leipzig investment made headlines in Germany, in part because the investments will not lead to an increase in workers. German tabloid Bild ran the headline “500 new robots - 0 new jobs." The company responded by saying it secures the employment of the existing 5,300 staff. BMW, along with Porsche, which has a plant in Leipzig, has helped to transform the state of Saxony into a competitive automotive hub in the former East Germany. But BMW has been criticized for employing thousands of workers on low-cost temporary contracts, even wearing different colored overalls to signify they did not belong to staff. Zipse now aims for a more flexible production model where future electric cars can be integrated into the existing assembly line to limit the buildup of fixed costs. BMW began building cars in Leipzig, its youngest German car factory, in March 2005 with more than 2.3 million vehicles manufactured since. Investments in the facility amount to 3 billion euros thus far.